We are honored to be contacted so often by passionate members of our community wanting to organize an event or promotion benefiting breast cancer awareness and research. Susan G. Komen Los Angeles County partners with others because it benefits both parties in terms of public awareness. We want to make this process as simple as possible. In order for us to give each event and/or promotion request it’s due attention, we ask that if you are interested in entering into an agreement with Komen Los Angeles County, please contact Eddie Hernandez to find out more. If you would like to become a retailer, sponsor a promotion or activity to benefit Komen LA County please contact Eddie Hernandez at 310-575-3011 ext. 206 for details. We are honored that passionate members of our community would like to organize an event benefiting breast cancer awareness and research. 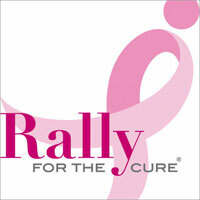 If you would like to sponsor an event or activity to benefit Komen LA please contact us for further details. You may want to consider not using the Komen name/logo and instead making a general statement that the funds raised will go to a local breast health organization or breast cancer research and support. We would be honored to receive funds raised and would give public recognition for your donation. Contact us at the office to find out more.